Sidewalk Paintings & Graffiti Street Art! 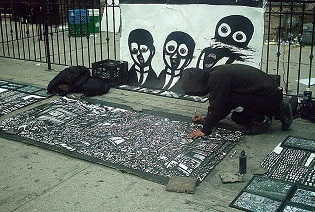 One of the most interesting way to exhibit my artwork outside (literally) of galleries and art events is as a street artist. 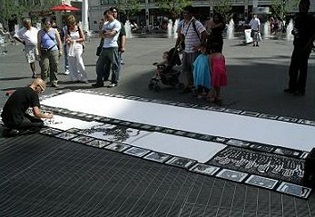 I have experimented with several different types of public art including live mural paintings on the sidewalks of downtown Toronto & New York, renegade graffiti images thrown up all over alleyways and construction hoardings, random creations left around the city and a few large scale wall murals. Exhibiting in the streets is generally the most exciting place for me because I always get inspired by the reactions and interactions that occur during public interventions. From 2004-2008 I worked full time as a performer in the city of Toronto and was able to meet thousands of people from all over the world. I used the downtown sidewalks as my open studio and was able to connect with the city in an indescribable way one could never have in a regular studio practice. Not only is public art really interesting because of the unexpected things that happen in an uncontrolled environment but it is also an invaluable opportunity to communicate with people who might never go into an art gallery. I met people of all ages and from all walks of life out there. I befriended several of the homeless people from the neighborhood and met important curators and writers from the art world. 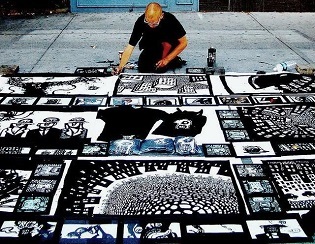 The diverse experience of beoing a street artist made those years some of the best in my life. 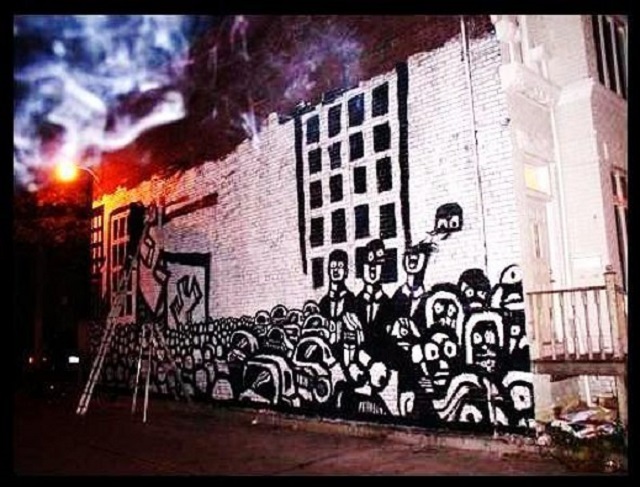 More recently I have continued my public practice through numerous large scale mural projects. Some of these artworks have been sponsored by the city of Toronto and Business Improvement Associations. 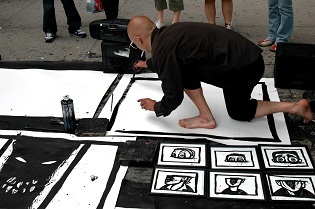 While my ambitions towards making animation and comic books basically forced me off the streets as a full time performer (there is a limit to the kind of work one can do in the middle of a busy, dusty, noisy city square) I have found a way to maintain a public dialogue through wall paintings. 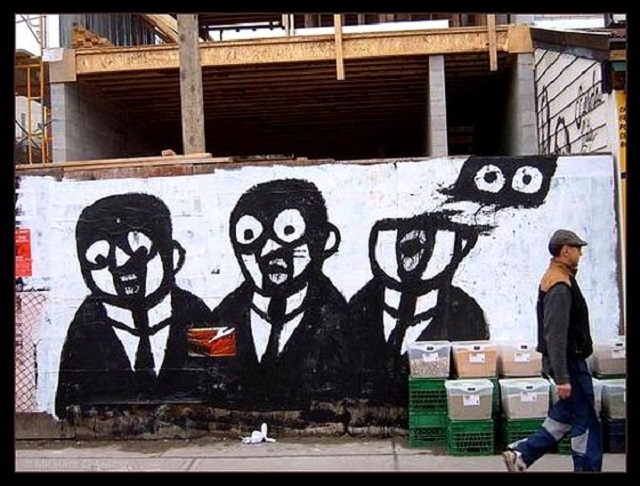 In 2012 I completed works in the St Lawrence & Kensington Markets, two historical sites in Toronto and in 2013 I became the first artist to legitimately “take over” a construction hoarding as part of a city wide public art initiative.